No complaints. Excellent service! Staff was very helpful and attentive. we enjoyed the beach party very much, especially Roberto who was the host of the dinner show. He was hilarious! And that our server Daniel was amazing! We have stayed here before and been very happy. However, the music which they played at the pool was very loud "techno music"......very annoying and hard to take for very long. It was curious because even though it was spring break, the majority of the crowd was neither college age or under 35. Beautiful resort close to everything! Only thing we didn’t like was the time share presentation pushed on us. 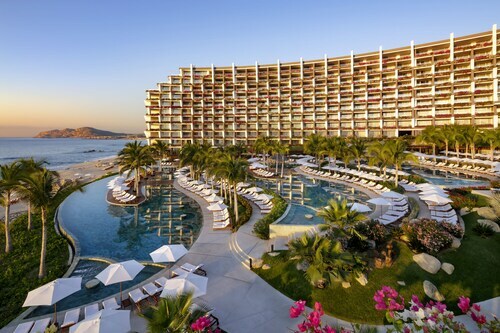 So you're considering a vacation to Cabo San Lucas? 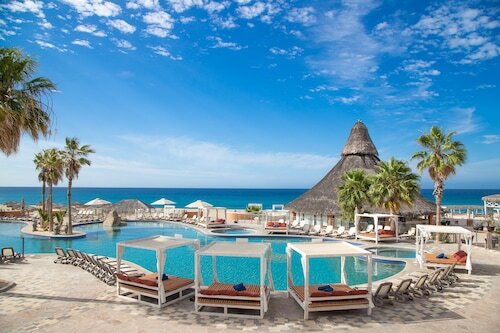 If you want a place to hang your hat that's located near some well-known Cabo San Lucas attractions such as Medano Beach, Marina Cabo San Lucas, and Lover's Beach, just go to Orbitz, choose your travel dates, and voilà! Look through the list of hotels and other accommodations to find those that are near everything you want to see. We make it easy to find a convenient flight into San Jose del Cabo, Baja California Sur (SJD-Los Cabos Intl. ), which is 20.3 mi (32.7 km) from the heart of the city. Find the ideal flight in a flash by using the filters on our site to narrow down your search. 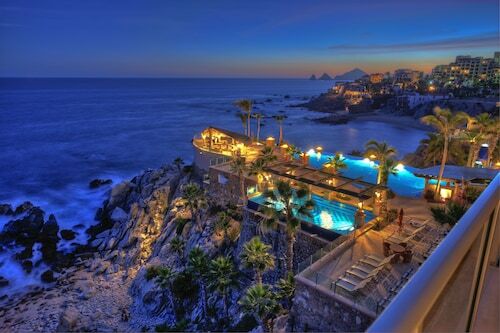 Take a dip when you stay at one of these Cabo San Lucas properties, appreciated for their pools. What's the Weather Like in Cabo San Lucas? Incredible service by all staff. All the restaurants we ate at had incredible meals. This is our second time at Sandos and we absolutely love it! Great friendly staff, clean, and great restaurant selections! Great view, very spacious and clean suite, great service!